Get ready for a major dose of cuteness! The Cincinnati Zoo & Botanical Garden has released an adorably cute video showing Fiona, a baby hippo, relaxing and enjoying her time in the shower. To say the hippo is at peace is an understatement. The shower is part of Fiona’s morning routine. Every morning, the baby hippo gets weighed, drinks some formula, and explores a bit of the “Fiona-proofed” area of the building. During her morning routine, the zoo staff noticed Fiona checking out the shower room and they decided to see what would happen if they turned on the water. 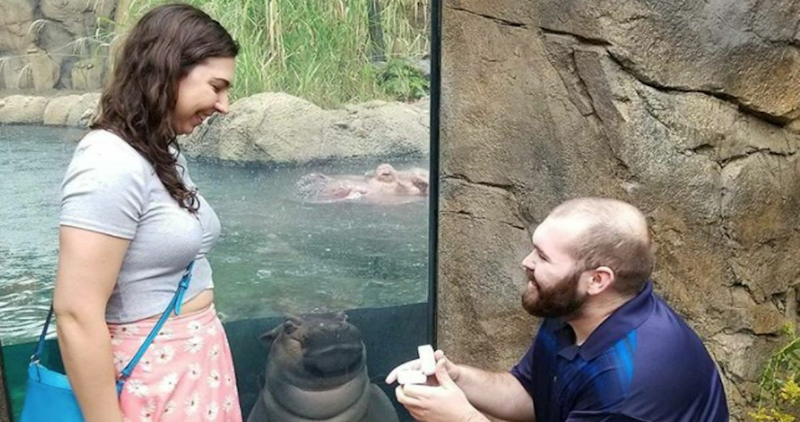 Since hippos are pretty fond of the water, it was no surprise to see Fiona enjoying herself. Fiona played in the water for a very long time and eventually fell asleep under the stream of water. She has become quite the celebrity since being born at the zoo. The little hippo was born six weeks prematurely and only weighing 29 pounds. See her full journey here.